Amos Wilbur (Bill) Fuller, W6AF, lived almost, but not quite, directly across Myers Street from John Williams’ TV store, with whose owner he had frequent dialogue over the years. 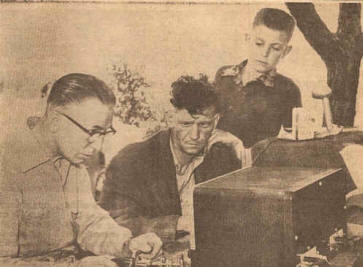 He operated almost exclusively CW on 20 meters with a homebuilt kilowatt (input) transmitter in his basement hamshack. Because of his proximity to Williams TV, he labored at great length in the circuitry of that transmitter to suppress all spurious and harmonic content from his signal, lest he detract from his neighbor’s television sales. Ironically, when John conducted a sales promotion in the late 1950s that included a drawing for a color television set, it was Mrs. Fuller who won it. In his working life Bill was a Western Pacific Railroad engineer. His date of birth was 5 July 1893, birthplace unknown to me. 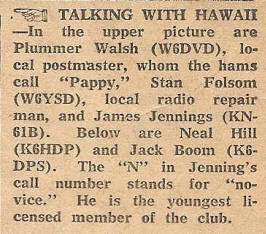 His year of first licensing, according to his QSL card, was 1924. 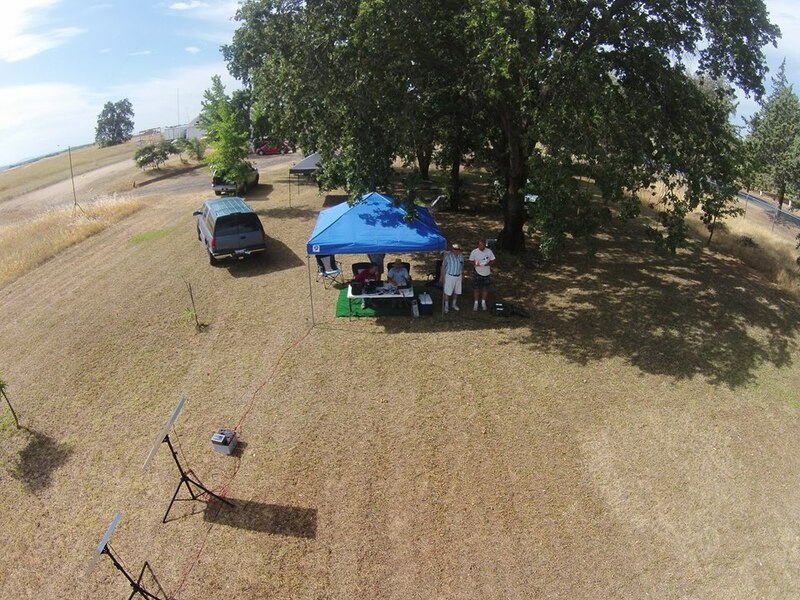 The local club, called Feather River Amateur Radio Club, later OARS, was granted permission by Bill each year to use his callsign at Field Day. Some years, Bill (also known by some of the club members as “Pop”) came to the site and operated as well. In late October, 1954, Bill administered to me a 5 w.p.m. code test and the written examination for the Novice class license. On 1 November 1954 I became a licensee with the callsign KN6ILB. After upgrading to Conditional a year later, and the call K6ILB, I had the privilege of operating W6AF on a number of occasions. With some 500 watts RF to a three element yagi, the signal reports from Europe (and all other parts of the world) were invariably good. In the early 1960s, while I was a midshipman at the U.S. 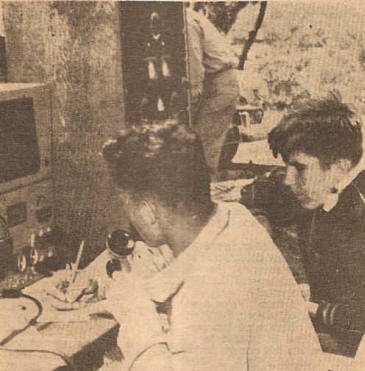 Naval Academy, the name of the club became Oroville Amateur Radio Society. During my last two years at the Academy (1962-64) I kept a weekly CW schedule, whenever possible, with W6AF on 20 meters from W3ADO, the USNA club station. Occasionally, my father sat in on Bill’s end of the contact. Subsequent to Bill’s death on 9 September 1967, OARS applied for and received W6AF as a memorial club station callsign. I recently “researched” Bill’s life dates at the Cemetery District Office, and received directions to his marker, which is rather close to Memorial Park’s entrance gate and beside that of his beloved XYL Wayne. Someone else remembers them as well, as there were fresh flowers in both their vases. The club went out of existence in the 1970s and was re started in 2007.